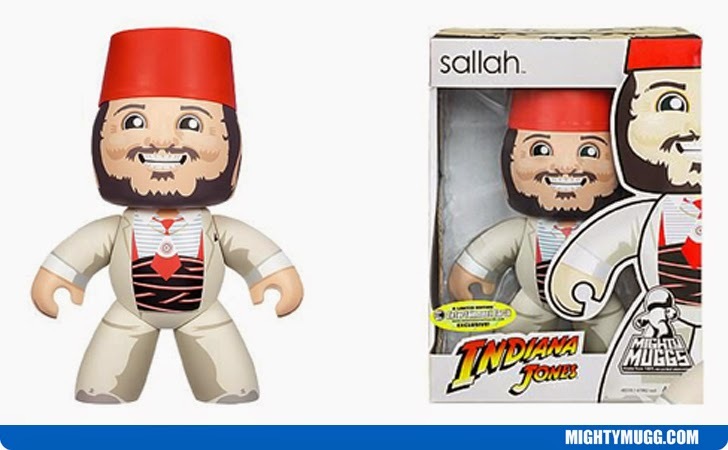 Sallah is an Egyptian excavator and close friend of Indiana Jones. He first appeared in the film Raiders of the Lost Ark and again in Indiana Jones and the Last Crusade. In the first film (Raiders) he helps Indy locate the true Well of Souls in their search for the Ark of the Covenant. In the third film (Last Crusade), Sallah takes Indy and his father nearby the location of the Holy Grail and accidentally hands Marcus Brody over to the enemies. Sallah is a jovial fellow who loves to sing, enjoys time with his large family and has the complete trust of Indiana.